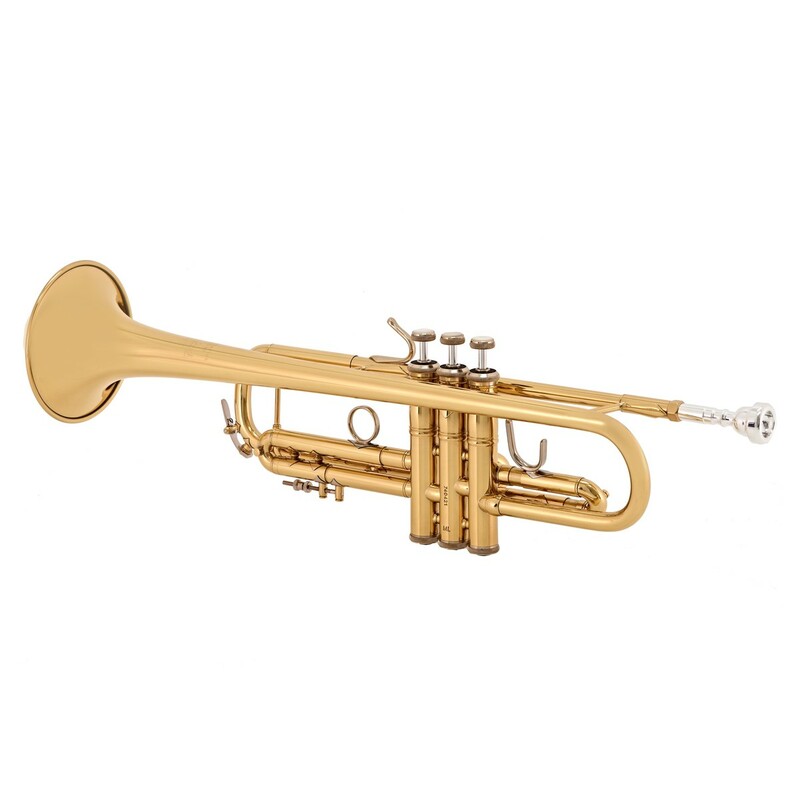 If you're looking for a versatile trumpet with an open tone, then the Bach 180ML37 is for you. 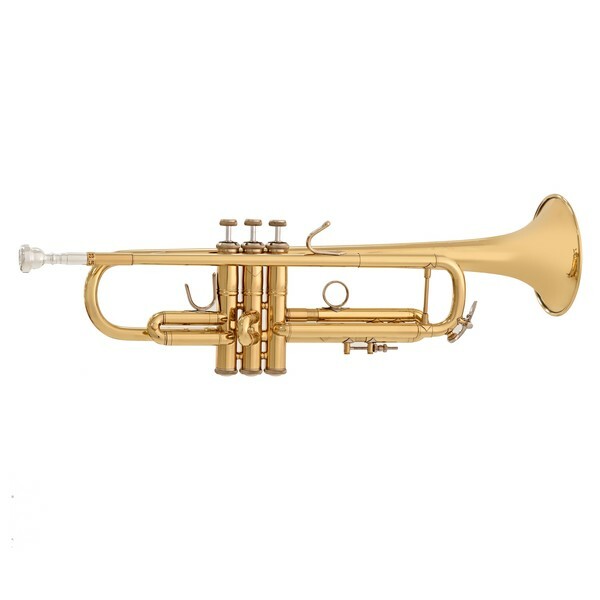 The reverse leadpipe reduces resistance which helps with overall control and tone of the trumpet. The medium bore on the 180ML37 provides a warm sound, and the #37 one-piece hand-hammered bell will project this broad sound with plenty of control. These features are essential for when blending in with the rest of the section is required. The Bach Stradivarius 180ML37 trumpet is perfect for professional musicians needing an instrument for solo work and yet still need to blend in with symphonic and concert performances. Included with the 180ML37 is a deluxe case, maintenance kit, and mouthpiece so you can start practising straight away. The #37 bell found on the 180ML37 is a hand-hammered, one-piece bell which produces a warm sound with great projection. The sound is projected clearly down the 37 bell and provides a more rich tone. The Bach 180ML37 is ideal for musicians needing a trumpet for multiple musical settings, including orchestras, solo playing, and jazz. The Bach 180ML37 has a reversed leadpipe meaning that the air flow is uninterrupted by sharp edges from the leadpipe to the tuning slide. As a result, the trumpet is easier and freer to blow through than the standard leadpipe design helping with overall control and tone. All Bach Stradivarius trumpets are handmade in America by highly skilled craftspeople and artisans. 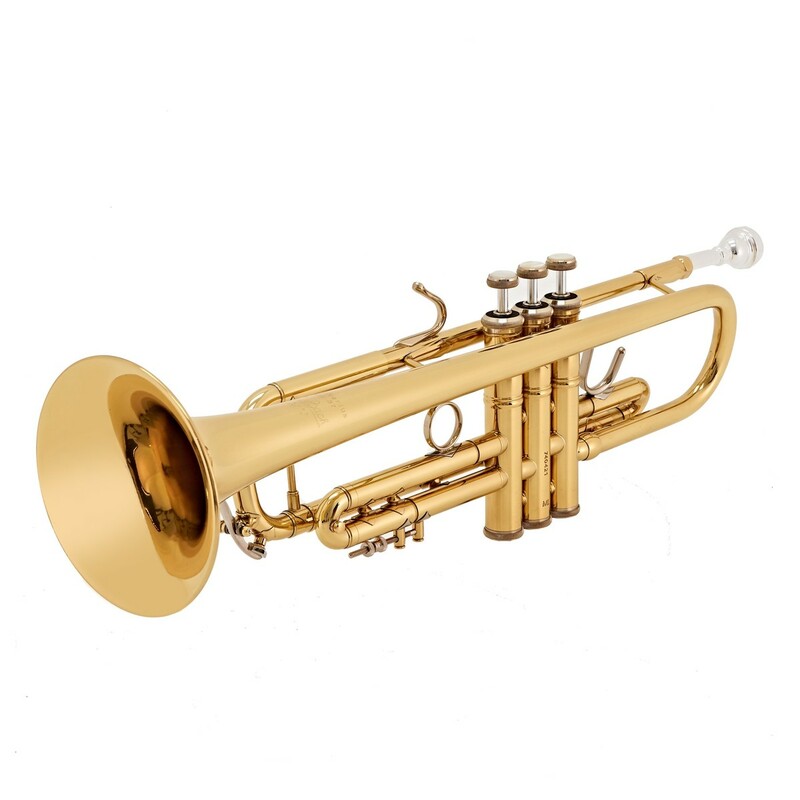 The 180ML37 is constructed from high-quality yellow brass which is the most popular material for trumpets. This is because yellow brass produced a very versatile tone that can be performed in a variety of different musical environments. Once the 180ML37 has been constructed is finished in a bright clear lacquer to keep the instrument looking newer for longer. The 180ML37 features 1st and 3rd slide thumb saddles with the addition of a rod stop on the 3rd slide, so precise tuning can be achieved in extreme registers. 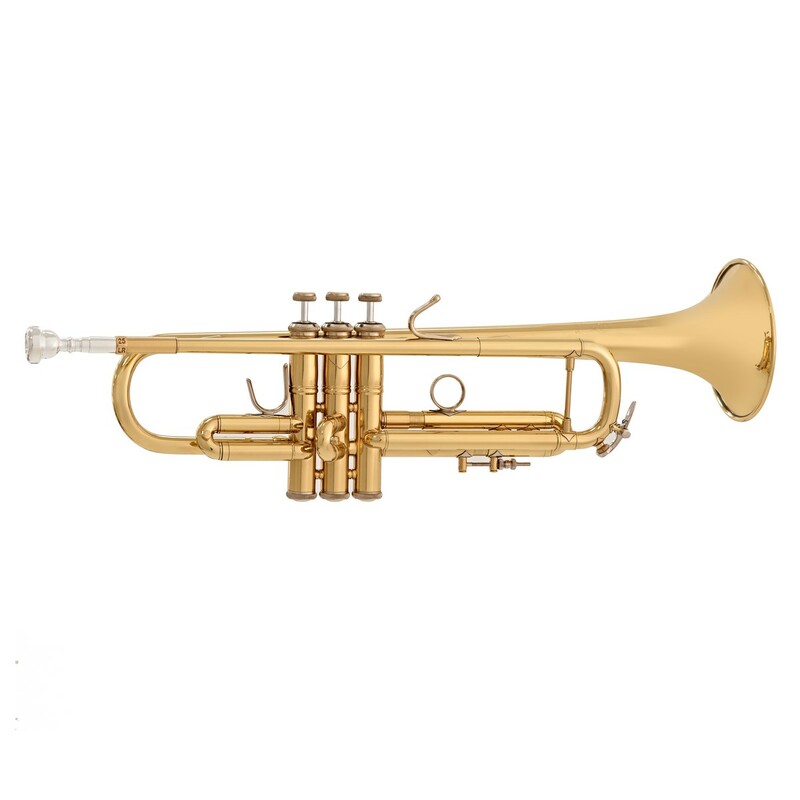 The valves in the trumpet are crafted from monel which is a nickel and copper alloy. 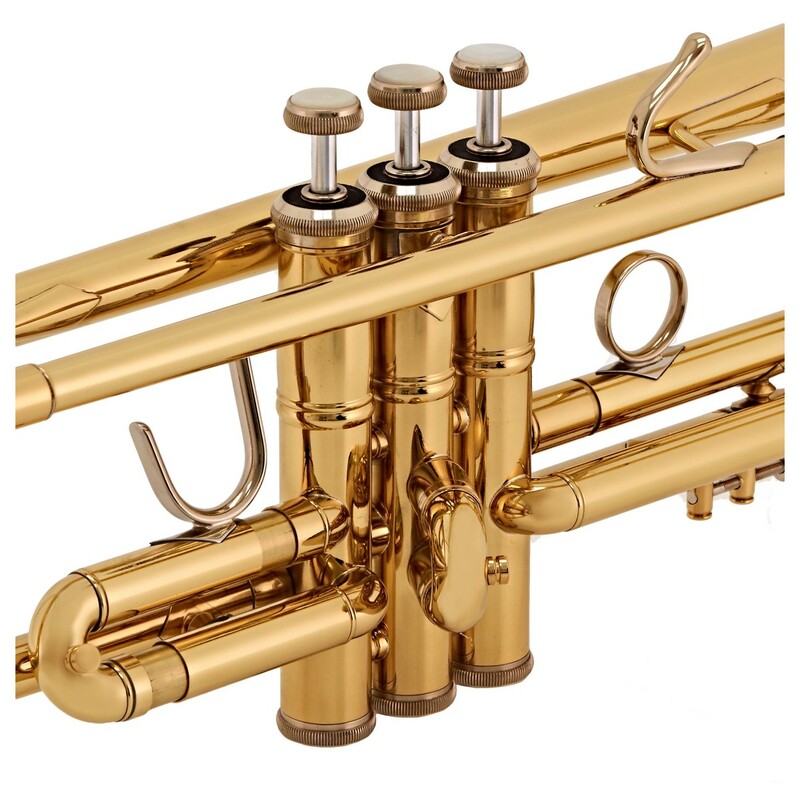 The majority of premium trumpets have monel valves because it is very dense and is more resistant to corrosion, meaning they won't flake and are less likely to seize up. 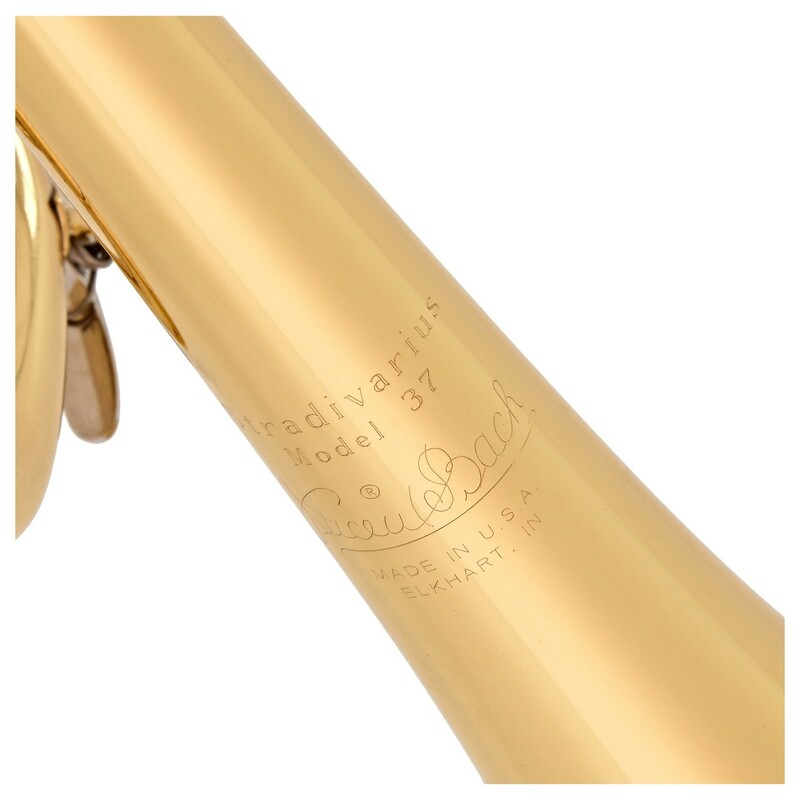 The Stradivarius trumpet includes a Bach 7C Mouthpiece, which is one of the best selling mouthpieces on the market. It offers an all-round sound which is suitable for both the high and low register while also providing a great tone suitable for all players. 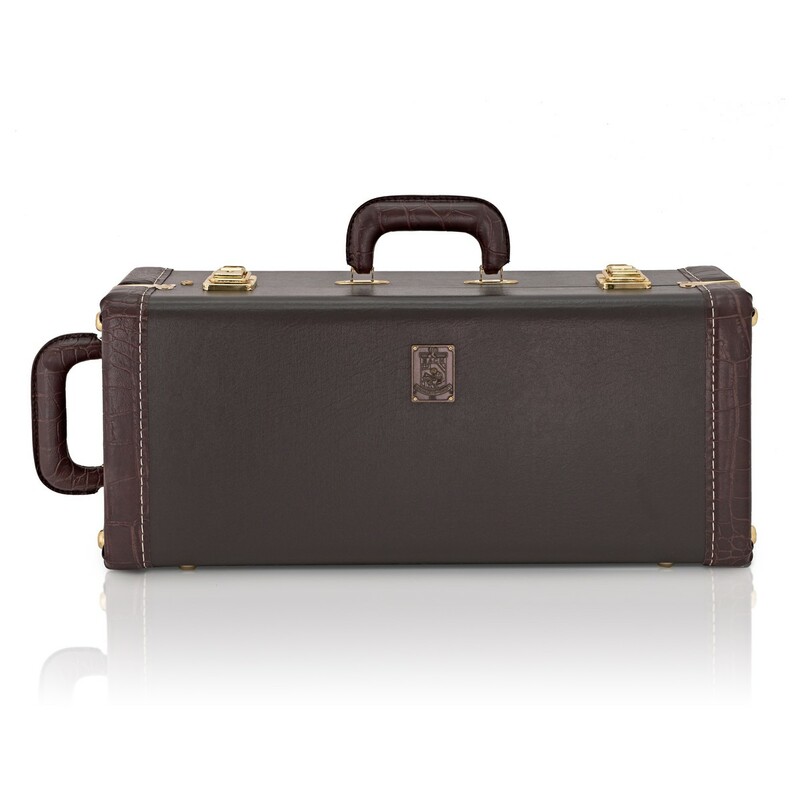 As well as this, the hard moulded Bach Case is included. 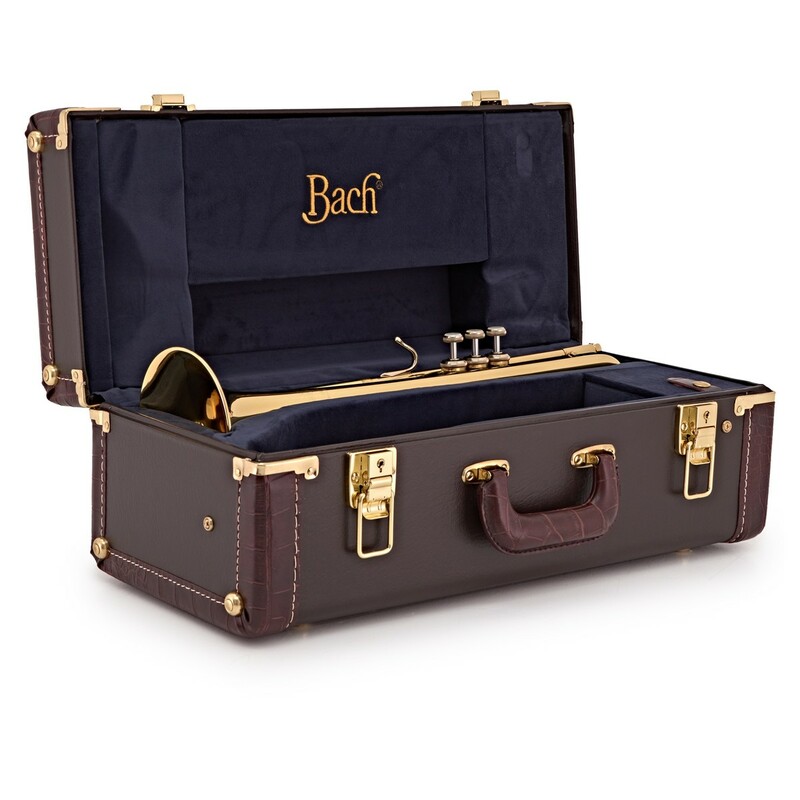 The case is made from a wood shell and padded securely inside to protect the trumpet. All the corners of the case are reinforced to provide extra protection. On top of all this, valve oil and slide grease is included to keep maintaining the instrument a very easy task. The Stradivarius series of instruments are the premium symphonic models originally designed and manufactured by Vincent Bach in the early 1920s. All of the models in the Stradivarius range are made using the highest quality materials to ensure only the best possible instruments are produced. The name "Stradivarius" originates from the first trumpets made by Vincent Bach himself. Musicians would refer to his original trumpets as having a "Stradivarius" sound, which later inspired the name Stradivarius. Bach have been making trumpets since 1924 and are viewed as one of the best trumpet manufacturers in the world. Musicians frequently referred to Bach trumpets as having a real "Stradivarius" sound, referring to the world-famous string instruments. To this day, Bach Stradivarius trumpets remain the choice of artists worldwide.